Il suo ultimo giorno sulla Terra. S.E.R. 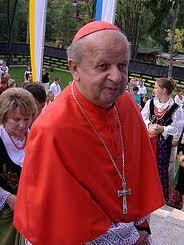 Il Signor Cardinale Stanislaw Dsiwisz. Arcivescovo Metropolita di Cracovia. Assisteva Karol Wojtyla per quasi quarant'anni! 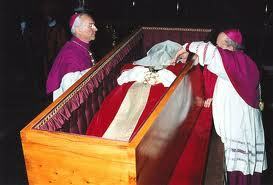 The Most Reverend Lord Archbishop Stanislaw Dsiwisz paying his last respects to Paul John Paul II. He served him for for thirty nine years. "On the last day, in the last hours, the last day, he was conscious. He knew of the last morning of his last Saturday. That Saturday we said Mass. I had presided over the celebration…….over all the praying he did every morning …. His meditiation. 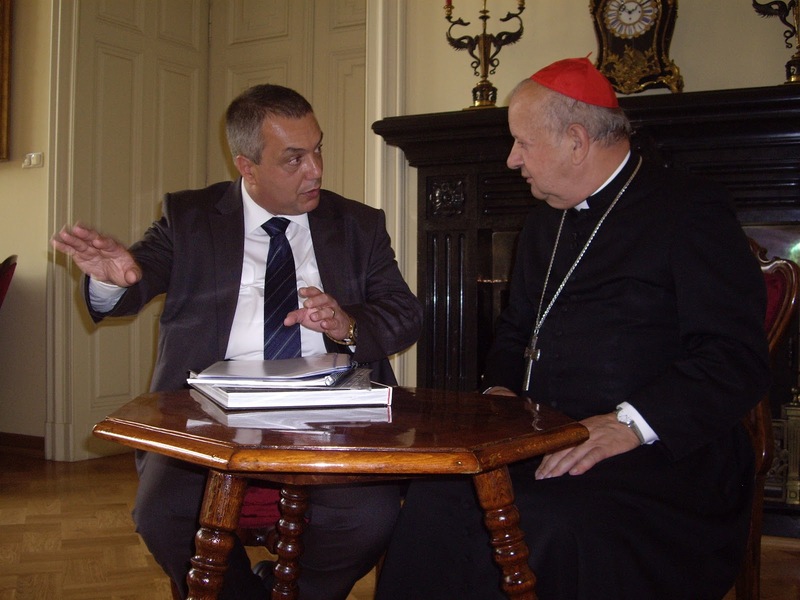 After Greeting Cardinal Ratzinger who was the Dean of the College of Cardinals and some other co-workers….in the paternoon he wanted to prepare himself…to prepare himself because he was aware that he neared the end of his life. L-aħħar jum tiegħu fuq din l-art. “L-aħħar ġurnata. L-aħħar siegħat. L-aħħar ġurnata. Hu kien konxju. Kien jaf anke fl-aħħar għodwa tal-aħħar Sibt tieguħu. Dak is-Sibt iċċelebrajna l-quddiesa. Kont ippresedejt il-koncelebrazzjoni tal-quddiesa…..it-talb kollu li hu kien jagħmel kull filgħodu….l-meditazzjoni. Wara li sellem lil-Kardinal Ratzinger li kien id-Dekan tal-Kulleġġ Kardinalizju u anke lil-kollaboraturi oħra…..wara nofs in-nhar xtaq jipprepara ruħu…jipprepara għax hu kien konxju li kien riesaq lejn l-aħħar ħinijiet ta’ ħajtu! Talab sabiex naqrawlu l-Iskrittura Mqaddsa, għax hu kien jaqra l-Iskrittura Mqaddsa. Hu kien jitlob permezz tal-Iskrittura Mqaddsa. Saċerdot, professur, Dun Styczen qralu disa kapitli mil-Vangelu ta’ San Gwann. U hekk pprepara ruħu! U fl-aħħar anke għalina ġietna l-ideja propju li niċċelebraw il-quddiesa ddedikata lil-Ħniena Divina……s-Sibt filgħaxija. U lilu tajnieh ftit taqtiriet tad-Demm ta’ Kristu fuq ilsienu.